Are you tired and feel lack of focus? Do you find it hard to concentrate on your tasks? This could be because of lack of sleep. I know that when I’m tired enough, I’m not capable of doing anything productive. In those situations I rather give up on the task and work on it on another time, rather than trying to complete it forcefully. Why you need to sleep? Sleep is essential for our well-being. You get your batteries reloaded after a (hard) day. It affects to your body and your brain as well. Sleep helps us to recover, heal and renew ourselves from our busy schedules. However, it is still as important for someone, whose calendar is not filled with gazillion of tasks to be done every day. “Sleep is our own built-in mechanism that takes care of our physical and mental well-being on a regular basis. It has been said, that the typical amount of sleep for a healthy adult is 7-8 hours per night. Naturally this figure depends on the person. Some might cope with less sleep, where some adults need more than 7-8 hours. The amount of sleeping hours depend on age. When I was a baby, I was pretty much sleeping (and eating) all the time. As an adult, the amount of sleep required to keep me fresh and active is somewhere between 7 to 8 hours. Whereas the quantity of the sleep may be one indicator for an average adult (how much sleep is needed), the quality of the sleep plays a very important role as well. For example, sometimes I have slept 6 hours in a very deep sleep and have woken up feeling just marvelous, whereas sometimes I have slept 9 hours and I have still felt myself sleepy. “One way to realize the amount of sleep you need is to go to bed and see when you naturally wake up (without an alarm clock). Your body will tell you when it has had enough rest. How does sleeping improve your productivity? I have noticed that I’m able to focus so much better on my tasks than with lack of sleep. If I’m tired, I can not concentrate on anything and doing something – even simple things – may take much more time than what it takes when I’m fully rested. For example, reading a chapter from a technical book may take me much more time, since I have to read a certain sentences (or even chapters) over and over again, until I fully understand the concept that I’m trying to learn. My creativity is on a different level after I have had a good sleep. Also, my problem solving capabilities are so much better, when I have had enough sleep. The amount of sleep affects also how well I’m able to remember things. When you think of all these things – productivity, focusing, creativity, problem solving capabilities or remembering things – they are very essential traits for every online entrepreneur. It’s really up to you to decide, if you want to spend 30 minutes or 1 hour 30 minutes on a task. The latter option is very much possible when you are haven’t slept enough, the former when you have. There are different opinions when it comes to napping – some are for and some against it. I can only speak about my personal experiences and they are all positive when it comes to napping. However, in order to make napping to work for you, I would recommend you learn to do the power napping technique. What it means is that you take a very quick nap during the afternoon hours – 20 minutes long the maximum. Even if the amount of time may seem too short, I have to say that this thing works! Earlier when I used to take longer naps, like 1 hour or so, I was so “stuck” when I woke up, that it took me an hour or so to get back to normal groove of things. Now I only do power naps and it’s like one pushed a reset button on my head. I wake fully rested and I’m like a different person than before napping. I would recommend that you take nap in the afternoon, but before 5 PM. If your napping goes after that, you may have difficulties of getting sleep in the evening. How can I improve my sleeping conditions? Now you have learned that sleeping is indeed a good thing, if you want to improve your productivity. If you are wondering if there is anything to improve the quality of your sleep, try these tips. With these tips you can improve the quality of your sleep and wake up on the morning fully rested. I think you now realize the importance of sleep and how it affects your productivity. It is essential to get enough sleep. Otherwise you will be spending your time on matters that normally would be accomplished by just snapping your fingers. Do you have any tips for improving the quality of sleep? Do you know how much sleep you need on a nightly basis? I would appreciate it if you share this post on Twitter, Google+ or on Facebook or just vote for it on various social bookmarking services. Use the buttons on the left-hand vertical bar of this post to share the article. It is important for online entrepreneurs (both part-time and full-time) to manage their time well. Since you are in charge of running your business, you have to make sure that you are focusing on right matters during your work day. 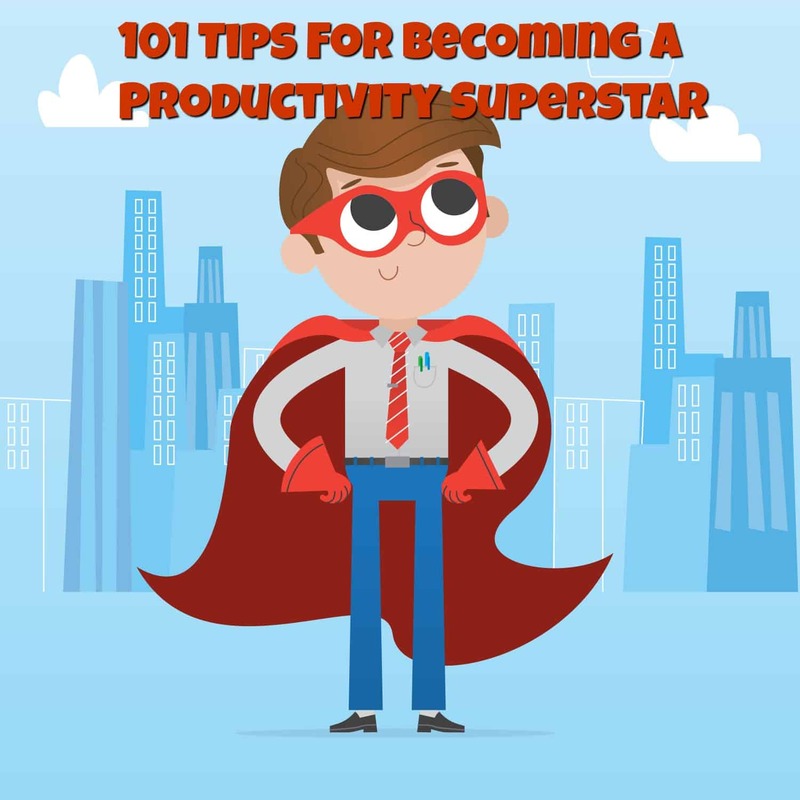 In this post, I have listed 101 different ways to boost your productivity. Although these tips can be applied to any situation in life, I specifically addressed online entrepreneurs and how their workdays can be managed better. “This post contains over 10,000 words (24 pages) and it is the longest post I have ever written. I have also included a PDF version of this post, so check for more information about this at the end of the post. It is often said that forming a habit takes between 20 – 30 days, when done repeatedly (every day). However, this depends on the habit you are trying to form. · Cutting down the TV time. · Disconnect from the internet while working (at least turning off e-mail notifications, instant messaging clients), turn off your phone. · Clean up your desk when you have finished working. · Let other family members know that you are working, so that they do not disturb you. · Wake up early and work during the morning hours. · Create your task list every night before going to bed. As you can see, there are quite a lot of things that are turned into habits. However, you should just start working with habit changes step by step, and repeat them often enough so that eventually you will be doing them automatically. You can also add your own tweaks and habits to the list, so that you can become even more productive. Before you even start working, you should have your end goal in mind: Why am I working? What am I trying to achieve? Why do I need to wake up early to work on my business? Once you have the goal clearly defined (such as earning $3,850/month from the products and services you are providing or quitting your day job before the 1st of September, 2011) and you keep it in mind all the time, it is easier for you to formulate plans at a more detailed level (daily/weekly/monthly). It is important to keep clearly in your mind what you are going to do the next day and the next week. On Sundays, I plan the following week’s schedule (what I want to accomplish) and every day, before going to bed, I define my plan for the next day. My tasks are aligned with the end vision in mind. Once you have that set (in tip #2), your weekly and daily task lists become much easier to do. There are many lucrative business opportunities knocking at our door every day. We get bombarded with emails by other bloggers and internet marketers about the latest shiny thing. As tempting as it would be to get started with a new project while you are still completing the previous one, you should rather finish what you are doing first and then move to the next project. This will ensure that your project gets done and that, after that, you will be able to give something else your full attention. For example, if you have your blog launch coming soon, finish that first so that you can then proceed to other projects, like niche site building. Shifting your focus to a lower level, you should work on one task at a time. For example, if you are writing your blog post, then do that and nothing else. Checking your Facebook account or socializing with others on Twitter while writing your blog post is not the right way to go. You may not be aware of this, but there is a link between your productivity and what kinds of food you eat. You should generally get rid of excessive amounts of sugar, bad fat and wheat flour from your diet. When I think of these ingredients, any hamburger meal (hamburger, a drink on the side and French fries) comes instantly to my mind. · The less sugar the better. · Fish and Omega-3 fatty acids on a daily basis. You get these by eating fish or taking Omega-3 pills. · As much organic food as possible. However, before making any radical changes to your diet, you should check with your doctor what kinds of foods fit you the best. The examples that I have given are suitable for me. I have learned that I need to get enough sleep in order to function well and increase my productivity. After getting 7-8 hours of sleep regularly (this varies person by person), you will be able to focus well, remember things more easily and focus on your tasks. Sleep is the foundation of your wellbeing and productivity. Exercise to increase your productivity. Even though you may think that the time you spend at the gym or practicing other sports is wasted, it is actually the opposite. You feel better, you fuel your creativity and you are more energized to work intense periods of time. Have a work out, take a shower after that and you will feel just great – ready to attack your tasks! I’m personally into the following sports: going to gym, running, cycling, swimming and cross-country skiing. You may have other sports that you find interesting. Once again – like in tip #6 – consult your doctor first to understand what your current situation is and what sports are best suited to you. Develop a schedule for your work. For example, you might write your blog post one day, promote it the other and so on. However you decide to structure it, having a schedule is essential. It gives structure to your day so that you will know when to focus on which kind of task. Besides, creating a structure and running through it over and over again, you are forming a new habit. Create a habit of waking up early and do the most important task you have first thing in the morning. This way, you will get the work done should anything unexpected happen later, during the day. For example, I wake up at 05.30 AM, work on my online business for 45 minutes (important thing #1) and hit the gym or swimming hall (important thing #2) before going to the office. I know that, even if something unexpected happens later during the day, at least I have done something important to move me closer to my goals. Sometimes you may have a certain time of the day which is underutilized. Work on your business then! Whenever I travel, I try to take advantage of travelling time by working on the content for my blog/list or go through some training material that I have on my hard-drive. This way, I make the best use of my time – instead of just watching the scenery. Believe it or not, but the amount of clutter in your workspace affects your productivity. That’s why it is important to keep your desk clean and only have the essential stuff on your desk when you work. Also, it is important to have all the things that relate to your work easily accessible – preferably within reach, when you sit in your chair. Whenever working, I want to keep my desk as clean as possible. It only holds some papers that are related to my work, 2 monitors, calculator and a couple of pictures for my enjoyment. When I stop working, I clean my desk so that my work space is as inviting as possible when I return back to the work room. The less stuff there is on my desk, the less distracted I am when I work; this way, I get more work done. Respect others and their timetables by being punctual. If you say you will meet a friend at a certain time, show up as agreed. However, if you are going to be late for some reason, let your friend know by sending a text message or calling before the meeting, so that he/she can expect that you will be late. Try to speak as clearly and loud as possible to avoid communication failures. This doesn’t mean that you should shout at your peers army style, but focus on your speech so that others may hear you and understand you clearly. For instance, every time I haven’t been a clear communicator, there have been misunderstandings and confusions and time was wasted because of that. In this world of e-mail and online communication, you may need to use some more traditional tools to get the work done fast. For example, if you need to find some information that will help you in your work, try calling the person directly, if possible. Instead of waiting for days for a reply e-mail to arrive to your inbox, pick up a phone and ask. For example, once I had some taxation related issues I had to take care of. Instead of sending the e-mail or visiting the tax office personally, I called to the person taking care of these issues. The result: that thing was taken care of in a couple of minutes, instead of days. No matter how good you are at what you do, sometimes you are going to need the help of others. However, for some people, the asking part is scary. It’s as if they feel that they would lose credibility for asking for help. Not so! I’d rather ask for help from someone than try to wrestle with myself on any issue I was having. You are not stupid for asking for help. Say ‘no’ whenever you feel that you are spreading yourself too thin. If your schedule is already booked solid, it is going to be booked even more solid because you just allowed an additional task to eat at your time. Saying ‘no’ will cut down your commitments and you are not spreading yourself too thin. I’m a big fan of documenting everything that is new to me. For example, there may be a certain way to use a piece of software. If I feel that I have a difficulty remembering how to perform a certain task with it later, I will write a step-by-step document in English. This saves my time, because I don’t have to spend time remembering, how something was supposed to be done. Another additional benefit of doing this is that, if you decide to outsource the task to someone else, you have the instructions ready for that situation. I find that, too often, valuable time is lost because I didn’t double-check something. That’s why I want to be sure and not guess – on anything. If you are not sure whether the next session with your business coach was set to 7 PM or 8 PM and you show up on 8 PM (when in reality the appointment was set to 7 PM), you both lost valuable time. That’s why, when in doubt, you should double check to be sure. When you batch, you try to finish as many tasks as possible at once. You could for example write a certain number of blog posts (like Darren does), or go through all your e-mails in one go. Whatever you do, you will realize that grouping certain tasks together – rather than doing them separately – saves your time. One of the best ways to destroy your productivity is to keep on tweaking and tweaking your stuff (writing a report, e-book, e-mail to a JV partner, blog post …) and trying to make it perfect. Well, I’ve got news for you – perfection doesn’t exist. Good is enough and you will always be able to improve your stuff at a later date. But too much of tweaking and seeking perfection is not going to get you anywhere. Do you know how you spend your time? Is it spent on the important tasks or on the not-so-important ones? One way to figure this out is to have time log. In its simplest form it can be just a piece of paper with notes about what you did and when. After gathering enough sample data, you can then analyze it and decide how to proceed. You should record every action you do during your day, when you started and when you finished. Then, you can basically group the tasks into different categories, such as hobbies, work, TV, internet surfing and so on. By doing this for a week, you will have a pretty good idea of how your time is spent. Finally, when you have done that, you can optimize your schedule, eliminate certain parts that are non-productive, outsource some parts and so on. A clean and de-cluttered home is a comfortable place in which to live. You know where your stuff is and you don’t have to waste time looking for your car keys or other important things. You will feel much lighter after making this decision and your home will be more quickly and easily accessible. Being prepared is yet another way of being more productive. When you are prepared, you are ready for something to happen and, when it does, you will have everything under control. You can just stay calm and handle the situation without any problems. For example, if you are travelling and you don’t have access to the Internet, you can plan ahead to do some work that don’t require Internet access at all (for instance brainstorming topics for blog posts, free reports or e-books or writing your next e-book or blog post). Being mentally prepared is equally important. For example, you might be asked to make a small presentation when meeting your customers. However, if you are prepared for the possibility in advance, it will be much easier for you to step on stage, than it would be without any mental preparation. Gather a bunch of like-minded entrepreneurs (for example online business owners) and create a mastermind group with them. Then, in every meeting, make yourself accountable for what you want to achieve by the next time you meet. You will not only be accountable to yourself but to the rest of the group also. That will make you push your boundaries to meet the deadlines. Another way to push yourself to get more things done is to hire a coach. Like in mastermind groups, you make yourself accountable to a specific person, instead of a group. The effect is still very powerful. You will get more things done than you would without an accountability partner. Besides, your coach can save you time by giving you the instructions to focus on the essential parts of your business. You have only a limited amount of time at your disposal. It is useless to try to do everything by yourself. Instead, you should define the important parts that require your attention in your business and let the other tasks be taken care of by an assistant. Whether it is just outsourcing a single task to someone else or just hiring a virtual assistant, you will save time either way. Besides, in most cases, you assistant will perform the task much faster and better than you. I used to hate deadlines, but now I have realized that they are essential in order to get things done. Rather than spending time endlessly on a project, you should set a deadline which you have to meet. Setting boundaries for your work makes you work harder to meet them. Besides, as an entrepreneur, you will have plenty of other ideas that you want to implement, so why spend an infinite amount of hours/weeks/months on your current project? The sooner you are done, the faster you can move to your next project. It is very easy to turn on the TV and undertake that you will only watch 5 minutes before getting to work. Soon, you will realize that you watched 30 minutes and that your online business was standing still during that time. To avoid this happening again, set your priorities straight by putting business first and pleasure second. This way, you will be more productive and you won’t feel guilty when watching television (or whatever you will be doing). Determine to work on your business first, so that you are entitled to do fun stuff afterwards. When working, try to work as intensively as possible. Don’t write just one blog post, write five. Don’t comment on just 3 blogs, comment on 10 blogs. Create 7 videos at once. Obviously, these were just examples and you should definitely balance your actions against the amount of time you have at your disposal. But, if time is available, take advantage of it that way – by taking massive action. Regardless of how much action you take – you can take action on the wrong things. This is why it is important to focus on the most important parts of your business. For example, if you see that you are getting plenty of traffic from YouTube instead of social bookmarking sites, you should focus on YouTube as a channel to bring visibility to your online business. In the previous example, you can track your traffic sources by using a tool like Google Analytics to see the statistics. This helps you to decide on the right focus point in this situation. Sometimes you will need new ideas for your time management practices. That’s why you should own a book on time management to gain more knowledge on the subject. I have read plenty of books on this topic, but the best ones so far are: Do it Tomorrow, The Now Habit, Getting Things Done and Find Your Focus Zone. There are many different time management systems out there; you can find out which one suits you the best by trial and error. The first system I used was GTD (by David Allen), but later, after reading other books and material on time management, I tried also several other systems too (for example Pomodoro or systems described in books like Do It Tomorrow, The Now Habit or Escape the Cubicle). The system you are using does not need to very complex. In fact, in its simplest form, your system could be just a pen and paper and your task list for the next day. Also, you will want to have your tasks set in relation to your end goal, so you are trying to reach your goals, rather than just tackle random tasks on your task list. Sometimes you may learn more on time management by enrolling into an online course. The one that I have used personally (and what I liked a lot) was Eben Pagan’s Wake Up Productive. It presented some refreshing ways to increase your productivity (topics related to habits, nutrition, taking breaks…) and I felt the concepts it taught were something different than what I had learned by reading books on this topic. I can state, for sure, that the decision to become an early riser was one of the best I took, when it comes to my achievements! I can’t stress the benefits of becoming one enough! You will be able to work focused, because there are no noises to distract you (if you wake up before your family). When you do your most important tasks of the day first thing in the morning, you won’t have to stress over them anymore for that day. Not only am I using the early morning hours to work on my online business, I’m also able to exercise before going to work. I know that these things wouldn’t have been possible, if I had been a late riser. I used to take longer naps –one hour long ones. I was always very tired and very groggy when I woke up. It took me some time to get back into a normal schedule. However, I once accidently took a 20 minute nap and I was amazed how much better I felt afterwards! I wasn’t tired or groggy anymore – I was ready for some action right away! By taking a quick nap, you reload you batteries and you dramatically improve your productivity. Sometimes, I set an alarm for 20 minutes, but I wake up before it – fully refreshed! If you feel tired during the afternoon hours, take a powernap to get back to business! Whenever you work (on your computer), take frequent breaks. And, when taking breaks, you should stay away from your computer. Rather, you should do something completely different during your break time. Not only are the breaks good for you productivity but for your creativity as well. Sometimes a new idea may pop up in your mind when having a break. Many people are eager to start doing something but they never finish it. And, as long as you have a task you haven’t finished, you will keep thinking about it. Try to create the habit of finishing what you start. This way, you can focus your mind on more important tasks – instead of burning your energy on unfinished business. Less is more, and this applies to the number of tasks in your to-do list. It is easy to overstuff your task list for a given day – only to realize that you are not able to do everything you planned. Right then, you feel defeated, because you didn’t reach your daily goals. Cut down the maximum amount of tasks as much as you can. Try to have, for example, 3 tasks on your list, but make those tasks the important ones. Celebrate getting those three tasks done. Also, try to have an idea of what your next day is going to be like and use that information when planning your task list. If there is something extra coming for the day, it’s useless to have 10 tasks on your list, when you can only do two of them. I have realized that there are certain parts of the day when I feel the most productive. For me, these times are the hours of the morning (06.00 AM – 09.30 AM), afternoon (01.30 PM – 3.30 PM) and evening (7 PM – 9 PM). I have identified these by watching myself and seeing when I got the most done. When I had finally identified these productive times, I tried to concentrate my work time during those hours. 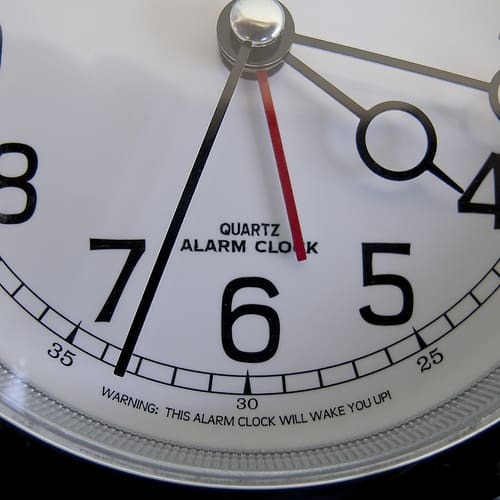 The simplest things can improve your productivity the most – like a timer for example. Whenever I work on my computer, I start my timer (Free Countdown Timer on PC). When the timer is on, I’m fully focused on what I’m doing. When the timer goes off, I take a break. I recommend using a timer – either on your computer or an external one on your desk. Alternatively, you can set an alarm on your mobile phone too. You need to work hard on your most essential tasks, but you should reward yourself as well. Although the order is business first and pleasure second, pleasure has its role. When you reward yourself, feel entitled to your reward. When you get the reward, be aware that you have worked well and have pushed your boundaries to meet the goal (and getting the reward). The bigger the reward, the harder you work for it. If you don’t have the possibility of joining a mastermind group or hire a coach/mentor, you should hold yourself accountable to your spouse or your friends instead. This is another way of publicly declaring what you are going to do. And, once you have declared it publicly, it puts pressure on you to actually get things done as promised. You blog can provide you with another way to become accountable. Announce you goals there, so that your readers can realize what you are going to do. You can do this by mailing your list or updating information on Twitter too. Wherever you publish the information, once it’s public, it is much harder for yourself not to do what you promised. When you work, you work. This means that nothing else should be done during that time; for example, checking your e-mail or the tweets on Twitter. Of course, you could just pull out the plug of your network cable but, alternatively, you could just turn off e-mail notifications, close the Twitter client (if you are using one) or just shut down your instant messaging client as well. This way, you can minimize online distractions and focus on the tasks at hand. In order to save time and better focus on your online business, you should also outsource other tedious tasks. One way to handle this is to outsource those household chores that you don’t like doing. Having your home or having your windows cleaned are examples of these tasks. Whatever the chore is, once you outsource it, you get more time for yourself and your business. I think that my creativity is at its best when I’m not at my computer. It seems that being offline triggers my creativity. Running, especially, is an activity which ignites my creativity. I get many great ideas during my exercising sessions. The best part is that your brain is working for you while you exercise. This in turn saves your time, because you don’t necessarily have to set a separate brainstorming session for your ideas. Instead, new and fresh ideas pop in to your head while exercising. Those ideas in turn can save your time when you get back to work (for example if you figure out a new way to make your working habits more efficient). This is a productivity tip originally created by Jerry Seinfeld. What is means is that you mark a letter “X” on the wall calendar for each of those days that you have worked on your project or task. As soon as you have worked a couple of days, you can see a chain figure emerge. If you happen to miss one day and you don’t get to draw that “X” on your calendar, you chain is broken. The more days you have worked in a row (and marked “X”) the harder it is for you to break the chain. You are actually putting pressure on yourself to keep on working day after day. Setting reminders on you electronic calendar is a sure way of reminding yourself of the things you have to do at a later date. The core idea of having a reminder is that, instead of trying to remember the things you are supposed to do, you put a reminder on your calendar that lets you know when you should do the task. Since you are not actively thinking about the task after setting up the reminder, you can just let go and work on your other tasks. When date of the reminder comes, you get an alert from it and perform the task then. Go to bed early if you want to wake up the next day early and refreshed. I have to tell you that forming this habit has been a challenge for me, since I have always stayed up late and still woken up early. This, in turn, made me super tired, which negatively affected my productivity. Nowadays, I try to get between 7-8 hours of sleep every night; the only way to achieve it is to go to the bed early (I wake up at 05.30 AM on weekdays). I can admit, that I still struggle with this habit, so there is still some work to do to make the habit stick. If your favorite TV show is on while you work and you feel annoyed because you missed it, you may want to record it for later viewing. This way, you will work on the important tasks first and watch the show later, when you have time for it. Whenever shopping, try to buy more on any one trip, so that you can eliminate extra trips to the store. Specifically, when going to the grocery store, try to plan your meals for the week, if possible, and buy as many groceries as possible. That way, you will reduce the amount of shopping time during that week. I used to be a heavy coffee drinker – 7 cups per day. I always thought that the more coffee I pumped into my body, the more productive and alert I would get. Obviously this wasn’t so. I guess that the best cup was the first one of the day. The rest were pretty much the result of a habit. Finally I stopped drinking too much coffee; nowadays it’s 2-3 cups per day. I feel that coffee doesn’t do me any good when it comes to productivity. Rather, I’ll drink tea (which contains much less caffeine than coffee and is healthier) instead. The next tip is actually a series of tips bundled together, but I wanted to bring it up since I get such a tremendous productivity boost when doing this. At some point, I was feeling very tired at work and I had major difficulties focusing on anything. Needles to say, my day at the office wasn’t the most productive. What I did was I got back home and took a power nap (20 minutes). Then I put my running gear on and ran a bit. I got back home, stretched my muscles, took a shower, put some comfortable clothes on and ate a little snack. It was just unbelievable what a difference it made! It was like being born again and I was very productive for the couple of hours that I worked on my business. I know that sometimes finding your passion may not be the easiest things to do but, when you find it, it is going to help you tremendously in your productivity efforts. The best way to identify your passions is to think about the things you are good at, the things that come to you naturally, the topics that you are knowledgeable about (or the ones you like to learn by yourself) or the things that put you in to the “zone” (you can work hours and hours without realizing it). The fact is that, once you have found your passion and want to turn into your business, you are super excited with the journey ahead and motivated to put the hours in. You are not scared of the amount of work involved. I have found out that the best way to work is to work in chunks and take little breaks in between the working sessions. My preferred way of working is at least 45 minutes at once. After that I like to take a break before my next working session. Your working time per chunk may vary from mine and you can find the optimum amount of time for yourself by testing. When we work, we usually do so between fixed hours. For example, in Finland, office hours are between 8 AM – 4 PM (as opposed to 9 AM – 5 PM as in the U.S.). However, when you are an entrepreneur, you are the boss and you define your working hours. I have fixed working hours during my free time too. This way, I can have some kind of structure in my work, which would be otherwise missing. I know that this fixed schedule keeps me productive, because I can expect it to happen on a daily basis, at certain time. Naturally, you have to test what works best for you. For me it is fixed schedules, because they give structure and consistency to my work. I have realized that, if I keep my computer on after 09.30 PM, my bedtime is going to be very late. The later I turn off my computer, the later I’m going to bed and the less sleep I get. Because I wake up early, I would feel very tired the next day – and my productivity would drop. As you can see, habits can make a difference in your productivity. This is one of them. I used to buy training program after training program (related to internet marketing). Most of them I never finished, nor did I implement them. I wasted my money and my time. I decided to change my rules when it came to training. I think that training and learning is an important part of an online entrepreneur’s life, but too much is too much – especially if time is taken out from your core actions (those actions that you should be focusing on). I made a rule to only focus on the training that relates to my business and focus on those courses/e-books only. This way, I’m not spending most of my time just learning, but implementing as well. By taking a close look at every training course that gets released, I evaluate them very closely and try to see if they are valuable to my online business or not. By using this criteria, I have been able to filter out many “shiny objects” which I don’t need. At the moment, I feel that the biggest benefits for me are brought by training courses such as Podcasting For Bloggers by Hector J Cuevas or Traffic School by Corbett Barr. I feel that they bring true value to building my online business and that’s why I have enrolled in those courses. A while ago, I talked about a book called Find Your Focus Zone on my blog. One of the things that I learned from it was the term FOMO – Fear Of Missing Out. It means that you are afraid of missing something valuable, if you are not taking action on something. An example of how this relates to online business is training courses, which I mentioned in tip #59. I used to buy lots of training courses and I was afraid that I would miss out on some very important information, if I didn’t buy the program. Of course this wasn’t so, so I learned to let go and just focus on the essential aspects of my online business. I think that this is something that you also should realize – new shiny stuff comes and goes and, if you miss the boat, it’s not the end of the world. 61. What am I not doing now? I have to give more credit to the book Finding Your Focus Zone, because I also learned this next tip from it. This makes me realize that I am not going to watch TV now – instead I’ll focus on writing a blog post, because it is more important than watching TV. It’s a simple question – yet very effective. We lightly touched on the topic of prioritizing in a previous tip. However, it is important to bring it up on it’s own. When you prioritize, you identify the importance of your tasks. Some tasks are more important than others for the time being, so you should focus on those important ones. Prioritizing creates situations where you have to choose between two options. Sometimes, the decision may not be easy to make, but you just have to think about the bigger picture. For example, when I was preparing my blog launch, I had to decide to gave up temporarily on reading personal development books, so that I had more time to build my blog. Although I like reading, I can see now that the decision was the right one. Since the launch project is now done, I can concentrate on reading again. I start my mornings always the same way – I wake up at 05.30 AM (weekdays), get dressed, eat breakfast, work 45 minutes on my blog, hit the gym or swimming hall and then go to the office. I have realized that this routine works for me. I’m able to get things done during the morning hours, so that I have more time in the afternoon. You may find your optimum morning ritual by testing. For example, you may feel that you need to meditate before starting your day or that you are better working right away after jumping out of the bed. To be honest, your evening routine will affect your morning routine too. Some of the things I do in the evening are beneficial to my morning routine. As in the mornings, I have a certain set of things I do before going to bed. In my case, this means, for example, packing up my sport gear in my backpack, having my clothes ready in the bathroom when I wake up (so that I don’t have to dress up in a dark bedroom and wake up my wife J) or having my cutlery ready on the kitchen table, when I go there to make my breakfast. Doing these small things enables me to have more time for the important activities in the morning – namely working on my blog and working out. We are suffering from an e-mail overload. Therefore, it is important to handle the messages we receive on a daily basis. One way to do this is to have separate e-mail addresses for personal use and for promotions. For example, many blogs or websites require you to opt-in to their e-mail list before you can download the free report or video course. At the same time, it increases the number of e-mails in your personal inbox, unless you register a separate e-mail address for opt-in registrations. This way, you can keep some control over your inbox. I just recently realized that another source of the e-mails flooding my inbox is blog comments. I comment on other blogs on a daily basis and I often would like to see the follow-up comments to my comment as well. That’s why I check the box on the comment form that sends me reminders as soon as a new comment is added. I have created another e-mail address for these comments because, sometimes, my inbox contains lots of comment e-mails. That’s why I wanted to keep them in a separate e-mail address, so that only my personal e-mails are in my primary inbox. A handy way to organize your mail in Gmail is to use labels and filters. Since Gmail doesn’t have concept folders (as, for example in Outlook), labels and filters do the same thing. I create a label and a filter so that, when an email comes from a certain source, it gets redirected under the proper label. This makes the finding of emails easier. I used to think that processes and workflows were the most boring thing ever. Nowadays, I have completely changed my opinion on this topic. Workflows and processes allow things to go forward smoothly, in a standard fashion. Rather than having to figure out how to do something every time, you have a blueprint to follow. Processes and workflows also enable standardized outcomes on specific topics. For example, I have a certain workflow for publishing a blog post. When this whole process is run through, I have a blog post ready, which gets published on the certain day. It has the elements of brainstorming for a topic, writing it (without proofreading it), proofreading it (myself), proofreading it again (my wife), making the final edits to the text, including pictures and videos, publishing information about it on my list, scheduling it for a later date and then, finally, when the post goes alive, promoting it on social bookmarking sites. This is a tip that relates to content promotion and it is a nice way to create content by bringing the expertise or opinions of others into one single post. You basically send out a question to several people (for example, within your niche) by e-mail. Then, you compile the answers into one post, include information about the people in that post who participated to that campaign and post it to your blog. There are many benefits here. You get fresh content onto your blog, you set up relationships with others and you bring the views and expertise of others into one single place on a certain topic. Last but not least benefit is the time aspect – others are pretty much creating the content for you – your part is roughly to compile the answers into a single post and publish it on your blog. To make your life easier, as an online entrepreneur, you want to keep your items in fixed locations. Whether it is items (business cards, stapler…) that you need on a regular basis or important papers that you need for taxation purposes, keep them in specific places and organized, so that you don’t waste time looking for them. Want to handle your bills faster? Turn them electronic, if possible. I try to avoid using paper bills as much as possible and I rather have my bills in electronic form. This way, I don’t have to spend time handling paper bills. If they are in electronic form, their handling is much, much faster, because I don’t have to enter any information manually when I pay my bills using an online bank. When they are in electronic form, the information is already filled-in and all I have to do is to approve the bill to be paid. One way of taking things even further when the bills are concerned (thus freeing up more time to work on more meaningful things) is automating their payments. Make arrangements with your bank and your bills get paid automatically on a set date. Often, small tasks get postponed, because you think you can handle them later. However, I have realized that it is better to get the small things (that takes under 5 minutes) done right away. I have certain dates set for certain activities. These may not be the most inspiring tasks to take care of, but I will have to at some point anyway. For example, my wife and I have set cleaning dates for our home (bi-weekly, on Sundays). This way, I can plan my other activities around that coming task (thus preparing mentally for a boring task to come J). If you are working from 9-5 and want to save time, try to make a telecommuting deal with your boss. I have done so and I love it. Basically I work from home on Monday and Fridays; the rest of the week I work from the office. By working from home, you save time because the commuting time is cut out of your daily schedule. Although my office is basically 5 minutes away from my home, I still save time because, as soon as I shut down my computer, I’m already “back at home”. This speeds up my schedule for the rest of the evening and I have more time for my hobbies and to build my online business. Two monitors (or more) can improve your productivity, because you don’t have to switch back and forth between applications on your only display. Having two (or more) monitors on your desk gives you enough virtual desktop space to have many applications open at the same time. Don’t lose your ideas – write them down as soon as they pop-up in your head. There are many cases, when I have a great idea and I go and find a piece of paper to write it down, so that I won’t forget it. Once that has been done, it’s out of my mind and I don’t have to waste time afterwards by trying to remember what the idea was. There is one obstacle, when it comes to getting things done: being too hard on yourself. You can tweak and tweak your report or blog post because you are thinking others will not like it, but in many cases this is not true. There will always be room for improvement. Just get the job done, listen to the feedback (for example by your readers), learn from it and improve the results the next time. Want to improve your writing performance? If you do, then write the content first and edit it later. I have realized that this is the perfect way to create content. You will edit and proof-read the content anyway before publishing it, so don’t waste time finalizing it during the initial writing phase. When you are too busy to get something done, you will make too many mistakes and you will have to do it all over again. It may sound counter-intuitive, but sometimes, by working on a slower pace, you will get the job done right away and you may even complete the task faster than when just trying to rush it. This is because you will be able to better concentrate on the task at hand. How do you know that you are on the right track toward your goals or that you have made the right investments in your business? You review performance. For example, if you decide to focus on video marketing to promote your online business and gain more exposure, you will want to check the statistics to see if it is the right direction in which to focus your efforts. The same goes with any work you do. You will want to make sure that the work yields the intended results. Otherwise it would be useless spending hours and hours on something that is not yielding the optimum results. Whatever you are doing, there is most likely a simpler way to do it. For example, you could be paying your bills manually, while there are automated ways to do it. Take a critical look at any process and try to see whether it could be simplified. You will be surprised to see how much more you can tweak your workflow, saving more time. Try to automate as many processes in your online business as possible. For example, when you publish new content on your blog, you can set automatic Twitter updates to go out when you blog post is updated. The same goes with Facebook or other social media platforms – you can update them automatically as soon as something happens on your blog, instead of manually. Sometimes you get on a roll when you are working. You are sucked into a world of your own, where time flies and you get lots of things done. This is why I sometimes don’t stick to 45 minutes work sessions. The fact is that, if I’m on a roll, I keep going on and on as long as I feel comfortable. The point of this tip is that, when you are on a roll, you should try to take advantage of it as much as possible. You’ll be surprised how much stuff you will get done. A computer that is too old (3 years or older) becomes too slow for today’s needs. This means that you should purchase a new, faster computer at least every 3 years. Alternatively, you can avoid buying the new computer by re-installing your operating system (this applies to Windows machines). Also, installing more memory on your computer should make it faster, which, in turn, makes working easier, because you don’t have to wait for it to finish processing the tasks. In most situations, when I want to fully focus on the task in hand, I need to work in a very quiet environment. There are, however, exceptions to this rule. For example, when I’m working on a very tedious task, I listen to music. This way I feel good when working, even if the task itself is very mundane. Without realizing it, the task gets done faster. This is very important – you should keep regular sleeping times. I remember that, often, when I used to wake up late during the weekends and then tried to go to bed early on Sunday evenings, I had difficulties getting to sleep. When I woke up on Monday morning, I was tired and I actually felt tired the whole day. That, in turn, caused my productivity to drop dramatically. That’s why it is important to keep a regular sleep pattern, so that situations like that won’t occur. When taking care of errands and leaving your home, try to optimize the route you take from one place to another. By doing this, you can save time and get back home sooner. Don’t be afraid to give feedback to someone – it will eventually save you time. For example, if you have a web site that you visit regularly and you find that it is not user friendly, provide the administrator of that web site with feedback on that matter. If things go well, your feedback may very well turn into practical actions that will cut down the time you spend on that website and will allow you to finish your tasks sooner. I have noticed that, too often, I can’t remember something and, because of that, I have to consult my notes to get on with my tasks. For this reason, it is important that you take good care of your memory. For example, you should make sure that you get enough sleep, because lack of sleep affects your memory. You can also eat healthier foods to improve your memory (like salmon, which is rich in omega-3 fatty acids, or blueberries). Naturally, you should consult your doctor to verify whether those foods are suitable for you. I have fallen into this trap so many times. I started my day by checking my e-mail and, before I knew it, I found myself browsing a web page, which just wasted my time. The key principle I try to apply now is to first start working on the core tasks that are related to my business and check my e-mail later. In addition, if you apply the batch processing tip (#20), you can process many e-mails in one go. Sometimes, you may want to make sure that you don’t get sidetracked when you are working on your computer. In these situations, you can use special software to block unwanted applications during your work time. For example, Concentrate (for Mac) is one of these programs. It can restrict access to certain programs during your work time. It can also block or enable access to websites too (NOTE: I haven’t used this software myself, so I can’t tell whether it’s good or not. I just wanted to provide an example of this kind of software). Keep files and folders in your computer organized. This way, you can access files easily. First, I have a specific folder where I keep my project files so that I can find them easily. Then, I have created a shortcut on my desktop, which enables me to access that folder by just clicking CTRL + ALT + B. This opens the right folder in my file management system and I’m able to access the contents of that folder faster. Another way I have used to organize my files is by grouping them in a custom folder (for example, called ‘Essentials’). Then I drag and drop my most used program icons into that folder, so that they can be easily accessed under one icon on my desktop. You have to be prepared for a major disaster, such as a server crash, when you are running your online business. If this ever happens, how fast are you able to recover your website back online? You should ask yourself: Do I have backups ready if something goes terribly wrong? If you don’t, it will take a while until your online business is back online. The software that I use to backup my blog is called Backup Buddy. It backs-up everything, be it posts, plugins, themes, database or any other files that constitute your online presence. In normal circumstances, you won’t notice any productivity improvements when using Backup Buddy. However, should your environment crash, you are going to lose lots of time if you don’t have backups of your data ready. We online entrepreneurs are bombarded by various courses and other training material that is published on a regular basis. If you are like me, you may already have purchased several e-books and online course memberships. The biggest problem with these courses is that, in order to benefit from them, you should go through the material and implement it. This is why you could set aside a day (for example, once a week), to focus exclusively on training. This way, you are focusing on the important tasks during the rest of the week but, at the same time, learning new stuff too. Learning is important, since we have to renew our skills and we often will want to learn new things to improve our businesses. Sometimes, when we work, the air quality may not be ideal. This is especially true if we work for hours in a room with the door shut. I often get tired when the air quality is bad which affects into my productivity. One way to tackle this issue is to open the window for couple of minutes. You will let fresh air in and you will also feel refreshed yourself. Do you need to do some things repeatedly in same manner, every time? In order to speed up the procedure, create a checklist, so that you will be able to quickly verify that all the necessary things related to a certain topic gets done. Once you have your own schedule up and running, don’t consider it frozen. Try to find various new ways of working and see whether your productivity increases as a result. One of the things that I have been testing over the years is changing my wake-up times. It took some testing, but I think I have found the right solution for this situation. 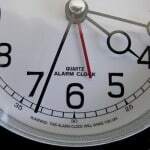 I realized that waking up 15 minutes earlier in the morning (at 05.30 AM) than what I previously did made all the difference; I have gained more flexibility in my daily schedules because of this change. I’m able to do my two daily workouts and build my online business during the same day. Building your online business means lots of work. I’m passionate about building my business, so it doesn’t feel like I’m working at all! However, no matter how passionate you are, you should slow down every now and then. One of the ways to do this is to have a vacation. For example, you could take a trip with your spouse to some nice place and just relax. After you come back from the vacation, you will be fully refreshed and more likely to be able to come up with new ideas for your business. One of the most effective ways to overwhelm yourself and procrastinate on a specific task is to think of it as one huge, never ending task. You are disheartened by the size of it and feel defeated because of that. The trick to make a big project more approachable is to think of it as a subset of small projects or tasks; when you finish one sub-project/task, yet another part of that big project is dealt with. Eventually, as you keep putting these pieces together, the big project that you thought was impossible to accomplish will be completed. If I had thought of my blog launch project as one huge project, I believe I wouldn’t have made it. But, when I broke up the project into smaller chunks, focusing on completing these chunks one at a time, I was able to make it. The last time management tip I wanted to bring out in this post is that we are all different. What works for me, may not work for you. That’s why it is important to take these tips, tweak and apply them to your specific situation. By doing this, you will get the best productivity improvements. I hope that you have found these tips valuable. There are many tips that I intentionally left out; at some point I will write a follow-up post, listing even more ideas to improve your productivity. Before I go, check out the PDF I promised earlier – you can download it here. “What are your time management tips, to become more productive in your online business? Please share this information in the comments area. If you liked this article, I would appreciate it if you shared it on Twitter, liked it on Facebook or just voted for it on various social bookmarking services. This is a story of how I managed to change a habit that has had an essential impact on my success. It is based on my personal experiences. I hope that when you read this, you get some great ideas for the habits you want to acquire yourself. Year 2006 marked a big change in my life. I had lived pretty carelessly before and my lifestyle was very irregular. I was eating lots of junk food, I wasn’t working out and I had a very low self-esteem. To be honest, the change process had already started in fall 2005, when I decided to join a local marathon school. The goal of the marathon school was to prepare the participants to run a full-distance marathon in 2006. In 2006, months passed and my first marathon ever was about to happen on August 16th, 2006 by running Helsinki City Marathon. The preparation phase went well for the most parts, although at some point I had some issues with my right foot. Luckily this was just a temporary injury and I was able to recover for the race. Eventually the race day came and of course I was nervous. You have to remember, that this was my first marathon ever and I still had overweight in my body (9 kilos = almost 20 pounds), which didn’t make my situation any better. And to make things worse, the temperature for the race wasn’t optimal for marathon running – it was 25 degrees Celsius (77 degrees Farenheit), which is just too hot for majority of runners. The race itself was a very typical marathon race – easy in the beginning, but the real running started after the 30 kilometer (19 miles) mark, so that’s when the exhaustion started to kick in. No matter how painful the last kilometers/miles the race was, I pulled it through and crossed the finish line in time 5 hours, 22 minutes (my race number was 522, so go figure J). Right after crossing the finish line, I didn’t feel anything special. I was just exhausted, my legs hurt and I could barely walk. But after I had a chance to go to sauna, take a shower and put dry, clean clothes on, I felt a sense of relief, joy and incredible boost in my self-confidence. Even if my legs hurt, I felt that I was flying above the ground – that good I felt. That pleasant feeling lasted for days and I got congratulated by my parents, friends and colleagues. I felt good – at the same time I knew I wanted to have more of that good feeling, even if it meant lots of hard work and sometimes pain and exhaustion. The feeling of success and joy acted like a seed that was planted in order to grow a habit out of it. All I needed to do now was to water and nurture that seed, so that it would grow big, strong and long-lasting. I figured that in order to improve my results for the next race, I should make some adjustments to my lifestyle that would support my goals on this matter. I had the motivation in place and that was born because of the success I had. All I had to do now was to have a consistent plan to follow, so that I would be able to reach my goals. “The feeling of success and joy acted like a seed that was planted in order to grow a habit out of it. The big lifestyle change that I made at first was to wake up earlier. I knew that I wasn’t able to work out as much as I wanted, if I had to do all the exercising after work. Because of this, there was a practical reason to start waking up early. Waking up at 5 AM was a necessity, if I wanted to do two workouts in a day – one in the morning before hitting the office and the other one in the afternoon/evening. At first when I woke up at 5 AM, I felt that I was doing something completely unnatural. Being awake at 5 AM in the morning and starting my day at that hour was so different from what I used to do earlier. It took some to time to adjust to it. If it was weird to wake up so early, so it was with working out early in the morning. I knew that making running exercises at 5 AM, especially during the wintertime (it is very dark and sometimes very cold in that time of the year here in Finland) is a very rough way to start your day. I wanted to do some alternating exercises instead, like going to gym or taking a swim at a local swimming hall. Those adjustments in my training program made it easier for me wake-up early, thus it enabled me to form a habit much better. If I have started doing things the hard way, it would have been more difficult for me to create the habit of early wake-ups. It has often been said, that you need self-discipline to form a new habit. I guess in some cases this is true – you need to force yourself to do things. In my case, waking up at 5 AM would have been impossible without four things. First, the great experience of finishing a marathon was like a foundation for this habit to emerge. I wanted to feel more that feeling of success. Second, I was already motivated because of my successful experience. I didn’t have to use any tricks to get out of the bed, even if it was at 5 AM in the morning. Sure, many times I felt tired when waking up (I went to bed late, but still woke up early), but at least when I was at the gym or took my first strokes at the swimming pool, that feeling of tiredness was gone. Third, I had a consistent training schedule to follow, so that I knew what to do and when. This helped me to prepare mentally for early wake-ups. Fourth, I started to prepare for the early wake-ups by packing my gear ready the evening before, so it was harder for me to cancel that training session if I had to unpack again. In addition, this would have led to a situation where I had to cancel my early wake-up too and I didn’t want this to happen. I didn’t have to force myself to do this (early wake-ups) – I did this because I wanted to and I knew that it supported my other goals (getting better results in other marathons). Sure, there were times when I slept in, but that was mainly because of being very tired and I knew that I had to rest to feel better. How did I know I had formed a new habit? In my situation I was able to tell that my habit was formed because I felt weird of not doing what I had taught myself. For example, waking up at 07.30 AM made me feel strange because I had already started to wake-up at 5 AM. Another point that indicated I had formed a new habit was the sense of guilt. If I didn’t wake up early, I felt like I had betrayed myself. I knew I had goals and the reason for this new habit of mine was to get me closer to my goals (for example improving my marathon finish time). This feeling of guilt was so strong, that I didn’t want to let myself down. Fortunately, this hasn’t happened too many times (since 2006 when I formed my habit). If it did, it fell under the exceptions category that I allowed myself to happen. I have listed here the different characteristics of a successful habit (like the one I described earlier). In my opinion, these characteristics give a strong foundation for any habit to grow and form – not just waking up early. Is there possibility to have a positive experience that triggers your desire to create a new habit? Try to have a positive experience that lays down the foundation of your new habit – as if you already had mastered the habit and felt how it feels. For example, I described in this post, how the positive experience of finishing my first marathon lead me to grow a positive habit of waking up early. Do you have the fuel to keep on going? Do you use positive or negative motivation to move you forward? This is important – you need to have a strong motivation to change a habit of yours. If you are just trying to do it for fun, it is not going to last. Motivation can grow of positive experience, but sometimes the reasons could be something different. For example, if you smoked regularly, you doctor could order for you to stop, because you could get ill permanently. In that situation there would be a negative motivator that makes you to change your habit and do the change. Why do you want to create the habit in the first place? In what ways does it make your life better? In my situation when becoming an early riser, I was able to work out, so that I could improve my sports results. Do you feel that there is some preparation that makes it easier to form or follow your new habit? Do you need to prepare somehow? I knew why I had to wake-up early, because of my training program and I prepared myself for early wake-ups by packing my stuff the night before. Which one of these scenarios makes the habit more probable to stick: doing it consistently on certain days at certain time or doing it whenever you feel to, randomly? If the execution of my new habit would have been irregular, I wouldn’t have it now. The consistency was the key here – waking up at 5 AM every weekday. When forming a new habit and a first setback comes, are you willing to hang on or quit? Sometimes my new habit was tested. I didn’t feel like waking up, but at the same time I knew that I wasn’t able to succeed in my sports activities if I slept late. I was tested at times, like if I was serious about my new habit, but I passed the tests and the habit lasted. How do you feel when you can’t execute your new habit? Are you willing to acknowledge, that there are going to be exceptions at some point? Whenever you form a habit, it is important to realize, that sometimes there are going to be exceptions to the rule. For example, I gave myself permission to sleep late, if I was feeling super tired. Exercising in a tired state is not good for you. Do you have any incentives that reward you, if you stick in your habit? Sometimes I rewarded myself for being disciplined in my habits. I would buy a new book, rent a movie or just buy something delicious to eat. The reward system has its place, because it makes you to push forward with your habit. Sometimes you may have harder times of executing your habit, but a compelling reward will help you to keep your habit alive. Do you keep the information about the habit on yourself or do you let anyone else know about it? I was fortunate to have a strong motivation in place, which acted as my fuel for my habit. However, sometimes you may need to have an accountability partner, so that he/she will keep you in line with your habits. In my case, I was accountable to myself, because I knew that if I didn’t wake-up early (and exercise) I would feel bad about myself. I didn’t want that to happen. Here was the breakdown of one of my habits and how it was born. I have listed above the characteristics of a habit that I feel are important when you try to form a one. I hope that this personal case study of mine sparkled you some ideas on how to form new habits. Once you form a new habit, nurture and “water it”, it stays alive and grows stronger. Before I finish this post, I must give credit to certain people, who gave me ideas about writing this post. Please check out my video below – I have some additional insights to share with you related to habits. “Did this post create any insights for you when it comes to habits? Are you planning of creating new habits soon? Please share this information on the comments area. If you liked this article, I would appreciate if you share it on Twitter, like it on Facebook or just vote it on various social bookmarking services.